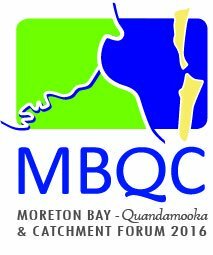 habitats and biodiversity, water quality, tourism, fisheries, citizen science, communities, and the Moreton Bay Marine Park. Day 3 provided a synthesis of these topics and presentations, and this was followed by a public Q & A event in the evening. Our lab colleague, Kerrie Fraser, presented on behalf of a number of co-authors, on the history and current status of indigenous and commercial fishing and fisheries in the Bay. 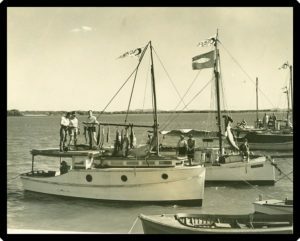 This presentation covered the range of species harvested by indigenous fishers including crustaceans, shellfish and mullet, the cottage industry for dugong oil that was present in Moreton Bay from 1847 – 1920, early turtle, whale, and oyster fisheries, and the commercial fishery and their harvest from Fish Board and logbook records collected over time. The Moreton Bay commercial fishery currently contributes ~ $24 million per annum to the economy, making it the most important commercial fishery in the state by volume and value per unit. Future challenges to fisheries of all kinds were discussed including fisheries management and regulatory change, individual and cumulative impacts from climate change, coastal development, etc, and what the increasing demand for seafood might mean to these fisheries. The outcomes of this forum will result in a book that will be published in 2017 and there are plans to hold another forum in 5 years time.